As we reach the second half of 2016, most Android manufacturers have now released the flagship phones which will drive their sales and carry them into 2017. And I've realized that there's no major incentive to purchase any of them. This year we've seen modular components become a larger focus of the premium tier, despite lacking impressive modules. And Samsung continues to pursue curved-edge smartphones, despite that most of the functionality would work just as well on phones with flat displays. Meanwhile, the OnePlus 3 doesn't even make use of its 6 GB of RAM (though as of today that might be changing). A phone doesn't need a built-in particle accelerator. It doesn't need to turn into a jet pack. You don't need to weigh items on them. The difference between premium phones and mid-range devices is increasingly coming down to price and gimmicks alone. Though you won't often read about it, a device with a "mid-range'" processor, a decent GPU and 2 GB or 3 GB of RAM will take care of day-to-day tasks in the same way as very expensive phones. If, like me, your daily smartphone use involves sending messages, watching short videos, emailing and playing casual games, you can get by on phones that cost less than $200. Activities that 95 percent of the population are engaged in 95 percent of the time work just the same whether you spend an extra 500 bucks or not. If you're really serious about photography, you aren't taking pictures with a smartphone. While it's great to have a high-performing smartphone camera, often the difference between the best and almost best is in the margins. The overwhelming majority of users simply want photos of holidays, landscapes, time spent with family and friends, or to record an exciting live incident: situations when professional quality isn't important. Personally, smartphone cameras are one of the most important factors when I buy a new phone: it's one of the few features where I actually feel a difference compared to a past device: RAM, GPU, CPU and battery capacity usually go unnoticed. But what I don't need is a telescope for my phone. A 12 MP camera with good software integration and optical image stabilization will do just fine. More megapixels could make photos look better blown up on a huge area, but most times I only look at photos on a smartphone or monitor anyway. In these circumstances, the thousands of extra pixels generally go to waste. When a phone says it has QHD resolution (2,560 x 1,440 pixels), how often would you think this can be taken advantage of? PhoneArena conducted some excellent research on this that suggest that pixelation (being able to identify individual pixels) occurs at 7.8 inches from your eyes on a 5-inch 1080p phone and at 6.44 inches on a 5.5-inch QHD device, assuming the person has 20/20 vision. What this means is that, unless the phone is really, really close to your face, you can't even notice the more densely populated display. 7.8-inches away from your eyes is already closer than you will look at a phone most of the time. QHD media isn't yet found in many places: it's not on Netflix, and only a few YouTube creators are making use of it. You certainly won't find it on any TV streaming or news websites. Thus a Full HD panel, with well-calibrated colors and a strong brightness level, is basically all you need. This topic is a little more tricky to discuss. More storage costs more money, and more storage is better, right? Having said that, you have to pay a premium to get 64 or 128 GB of internal storage capacity, as phones typically come with between 16 and 32 GB. One way around this is to make us of microSD cards and cloud storage. As any Android fan will point out, cloud and external storage does not act the same as internal storage space. However, because microSD can house all your media and specific app data, the internal storage space is mostly going to be necessary for apps: and making use of 64 or 128 GB of apps is madness. A 32 GB MicroSD card is ostensibly cheaper than buying the more expensive smartphone variant, and most users aren't going to notice a difference compared to accessing data held on a microSD. What's more, services like Google Photos offer unlimited storage of images at a certain size. Let me make this clear: I have nothing inherently against paying a lot of money for smartphones. In fact, if you were to choose between a regular cellular phone, or a (more expensive) smartphone, I would implore you pay more money to get a smartphone. The reason is that the gap between those two is very tangible: smartphones have offered a completely different experienced to what phones before them could do. But the difference between budget and premium smartphones is becoming ever-smaller. And in 2016, I don't see much between them at all. 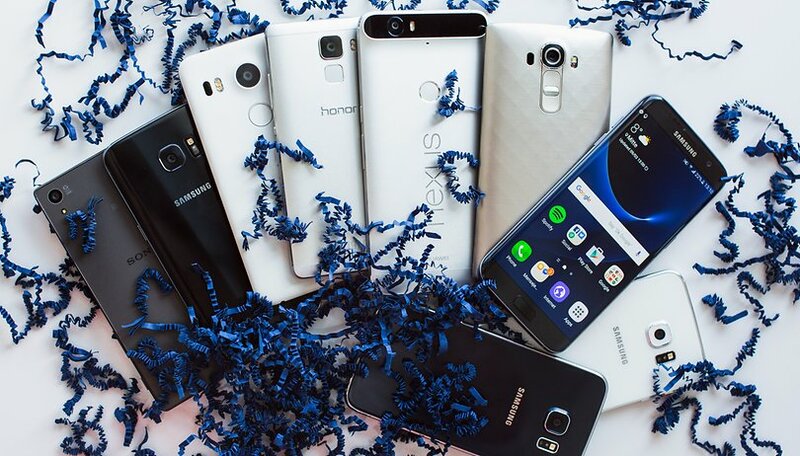 Do you think it's necessary to buy premium smartphones? If yes, what do you think is the main advantage? I look forward to reading your thoughts in the comments. A friend of mine bought Samsung A3 a few weeks back for 200 Eur. Given the fact that he falls into the category of regular phone users (the 95% pool mentioned in the article), the phone does everything just fine for his needs - nice photos, at least on the phone screen and on facebook, runs games, plays videos and sends texts. Oh, it also makes calls =). Yes, it is still Android 5.1, the update is coming in a few weeks though. It actually looks good as well, especially since he never wanted a large-screen phone. Now his choice was to pay 700+eur to get the galaxy S7 or A3 model for 500+ eur cheaper price. He decided to abstract from all the preconceptions related to 'little money = bad quality' mass belief and make a leap of faith. My intuition says that he will never go for flagships anymore. Neither will I. Side note - probably it all boils down to user needs. If status validation is your need, then the use case discussed in the article is secondary. Actually I would take it one step further. New flagships really are worse. I have been using Galaxy S7 for a while, and if it wasn't a company phone, I would have no reason to use it Dislike glass back, sealed in battery, no IR blaster etc. Much prefer my old Note 4!! I am still also using my old Note 2 with monster battery and loving it! I'm late to this article, sorry, but the point here is well worth taking. I don't need a "flagship" when a mid-range will do the trick, and I'm a power user. I'm in the 5% not covered by the average user for Android. I build my own apps, I tinker with the OS to the point of rebuilding it in some earlier cases (Gingerbread as a singular example of bad engineering on some early handsets), I'm pushing the hardware to the edges of its capability and I've never needed a flagship since Jellybean. My business partner is a major cheapskate, she uses a Sprint MVNO with a ZTE Warp model (I think the Elite). I'm using a Motorola G4 Plus 4/64 GB model at the moment on a Verizon MVNO. I don't see the need for the $700+ flagship Samsung Galaxy or even a more modestly priced One Plus model, let alone what Apple offers with it's walled garden. Let's break down some "catastrophic damage" costs on flagship vs my G4 Plus. I ran over my phone a few days ago so these numbers are fresh in my mind. If I was using a flagship I'd be out the $700+ because most insurance won't cover running it over. With my G4 Plus I'm out $250 from Amazon with shipping via Prime. That's it. I slip in my SIM card and I'm good to go. So buying flagships even if you're a power user makes no sense. well your point are on point I have the note 4 and still loving it. I can see nothing wrong with it at all even compared to the new crap tht is out its all now about who can be blind sided and give up a perfectly great phone for the next best thing. pls I see tht now after so much money down the drain yea I probably get blindsided again anyway great article gana keep it as a reminder so next time the next best thing comes out I'll read it as a reminder. A one year old flagship is the best mid range phone..
Jack MacMoni MihailovRich DFrancesco V.
For me personally, the screen resolution is VERY important. When I buy a smartphone it needs a vibrant screen. That AND storage for SD cards, which is something you should NOT ignore! Battery is obviously important as well, but it's not a dealbreaker to have a weaker battery for the sacrifice of a beautiful screen. I don't agree with this article. It's all up to personal preference. Some people want to carry best device when they can afford it. You don't need best device is not good argument. Comparison to make it is like you said don't buy jaguar when you can buy fiat punto just because it is cheaper. You are correct, we really don't need 12mp cameras, i only use my pics for email, Facebook or WhatsApp, just dont need big file sizes. The screen should be clear but would never use 4k or uhd, hd is fine, if you are streaming from youtube or another app it will not give you the definition to make use of uhd anyway. All these upgrades are great but use more battery, have the manufacturers really looked at this. Battery, i have a note 4, just coming up for 2 years old, its a good phone spec wise, i skipped note 5 update as i am in Europe and my third battery is just starting to run down quicker. I use it every day and charge it at night, so i am really worried about the note 6/7 as it will force me to change phones next year unless Samsung has made a big change to is battery design. So unless phone manufacturers can really make a big jump forward in battery design this is what will limit the phones no matter what you pay, i assume lower price phones have lower quality batterys. I actually have a Moto X Play, with a 3650 mAh battery. It is cheaper than most phones and still has a great battery life. The same is true for many others. Just take a look at the new mid-range Samsung Galaxy A9 Pro 2016, which sports a 5000 mAh battery. It's just another example to renew the message of this post: flagship smartphones are overrated and often unneeded. You made a general statement "we" then you you said that you only do such and such. That works for you. But some of us like the features that only come with flagship phones. Try xiaomi, especially the redmi line, they have 4000 mah battery with HD or FHD resolution, my redmi 3 Screen On TIme is around 8 hrs on the early months, now it is down to 7 hours after a year of use, its cheap and quality is great considering its price. but i think it is hard to acquire one in the US. You don't need 128GB? Well, cloud storage costs data to access. If you want to stream or download your own movie from cloud it will cost you. You want to put it on your SD? No dice if you have a Nexus. There is a place for the 128GB phone. Let's be clear you need that storage somewhere; cloud, SD or native in the phone. And battery? Really, everyone asks more juice. I agree with all the points you made. But I'd surely add a bigger battery. Who needs a 5mm thick phone when such a device would barely last a day and ask for recharge? I used to be of these mindset that you get what you pay for which meant if it wasn't premium it is not worth it. But now I've changed and believe my next phone will be a mid range or even a budget phone after having looked at what I truly use my phone for. The lower end has improved. Good read and I agree with this article. Time to keep money IBM my pocket. qhd i s actually usefull beacause everything looks much sharper. if you use a fhd and then a qhd phone you will notice it. I don't agree. I had LG G3 now Nexus 6P and when changing resolution on YouTube between 1080p to 2K I see no difference at all. And on iPhone 6 plus and Huawei P9 picture is perfectly clear and sharp. Give me good quality build, 4K recording and 1080P 5-5,2 screen and I'm happy. I don't think Youtube broadcasts in 2k?